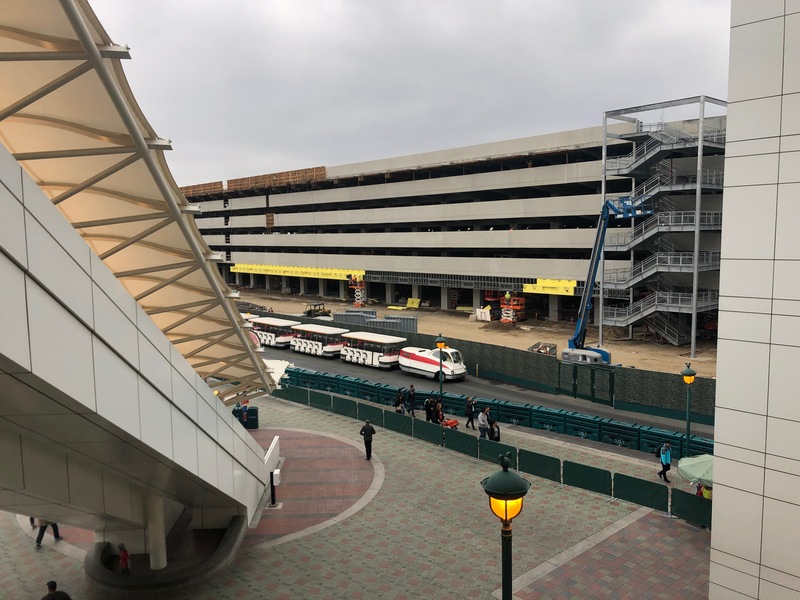 Right after parking, we once again took a look at the new parking structure next to Mickey and Friends. Not much new noticeable work since last time, however we did see that one of the six visible escalators was uncovered! The trams will definitely have to use their windshield wipers today! *Right* as we began to make our way over to the esplanade, the rain began to come down. Oh well, it sure isn’t going to stop us. 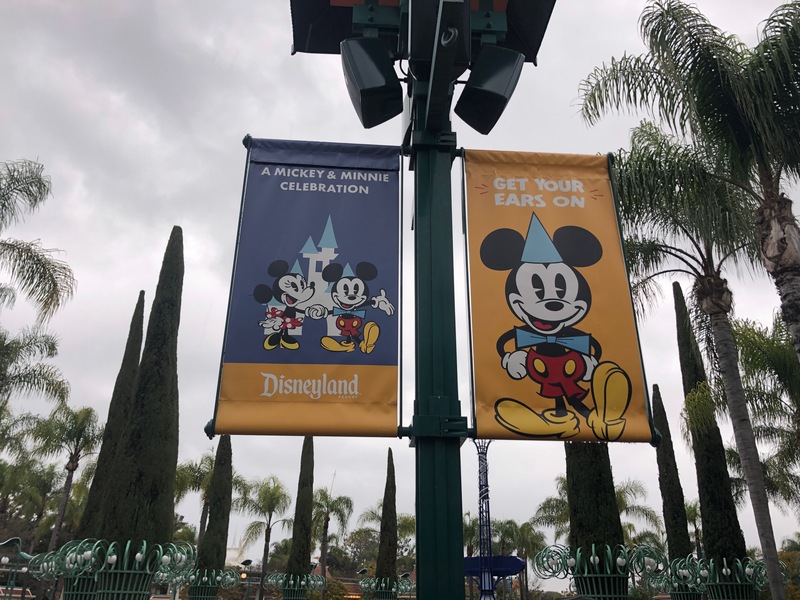 Hey Mickey, should we get our ears on or our rain ponchos on? Not too many people by the ticket booths. 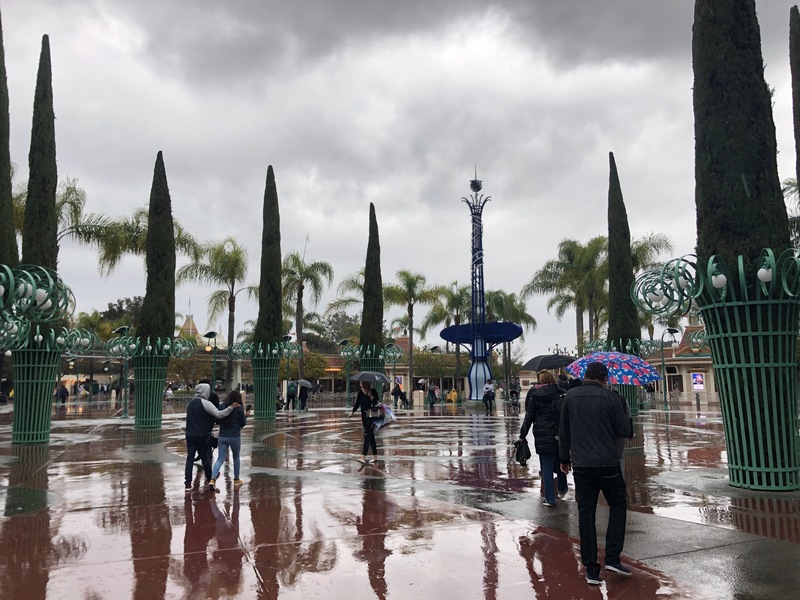 People in SoCal are afraid of the rain and will cancel their park plans because of it. 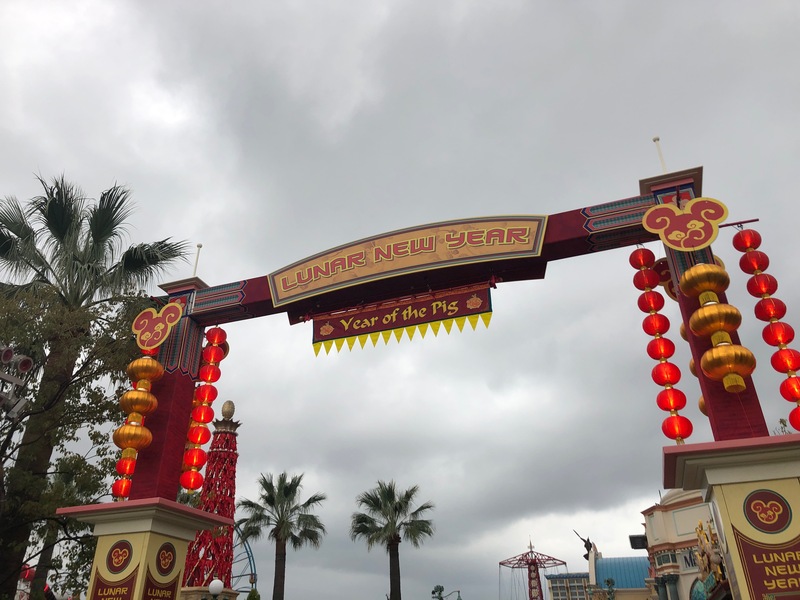 Over at DCA, the Lunar New Year festivities have begun! This is a very underrated festival in my opinion. The food, live entertainment, and atmosphere is great. 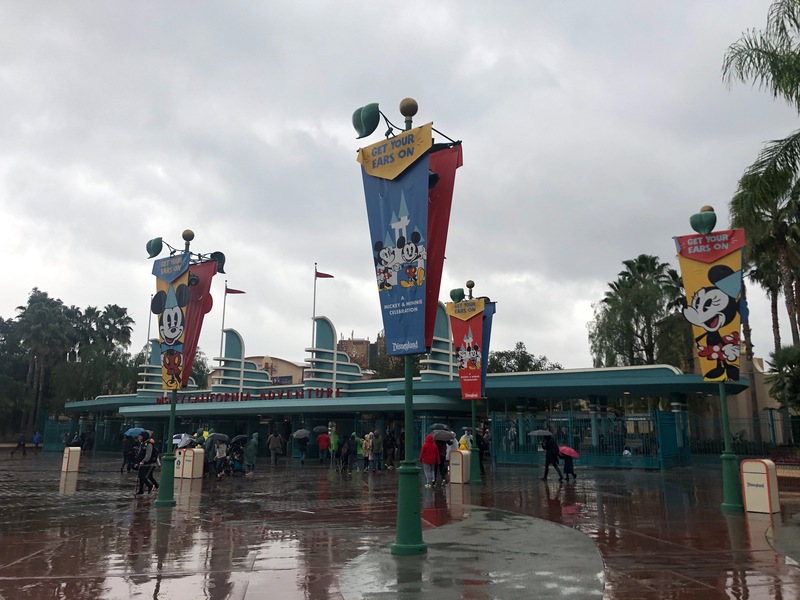 Colorful banners fill the normally bland promenade. 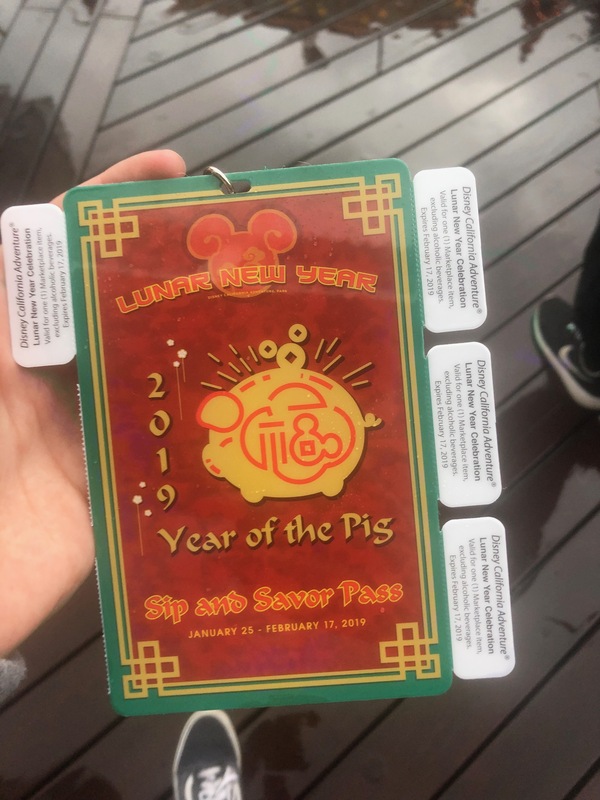 Unfortunately, because of the heavy rain, there were very few offerings available. We’ll have to come back again before it ends to give a full review. I’m not kidding when I say it was pouring. 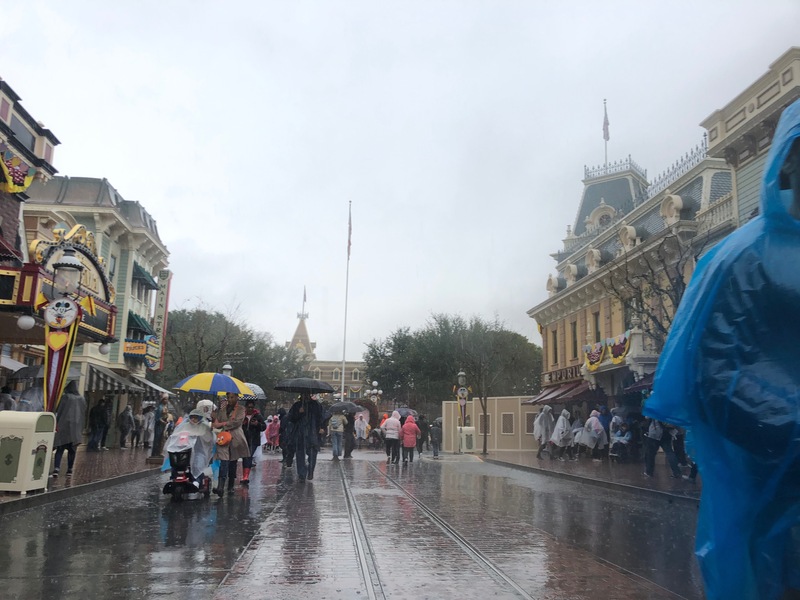 I was drenched by the time I left Disneyland. 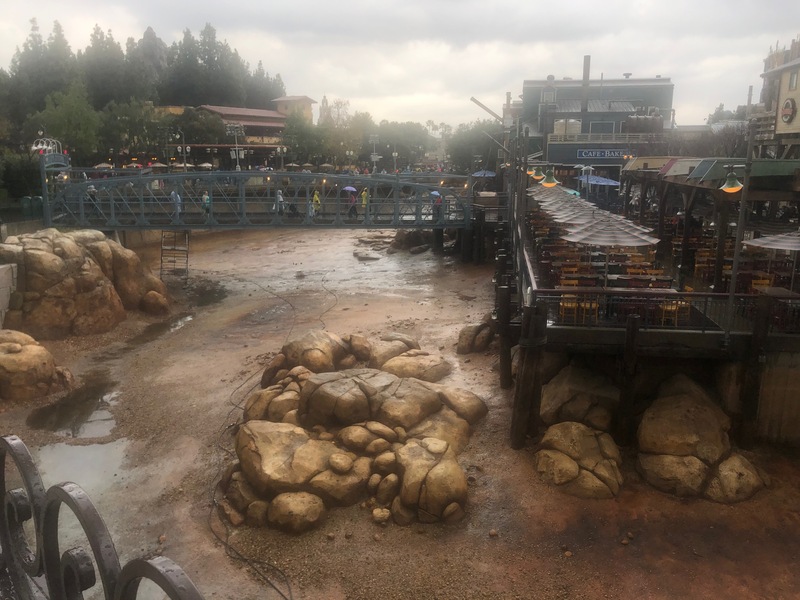 Let’s take a quick look at the disaster that is World of Color. 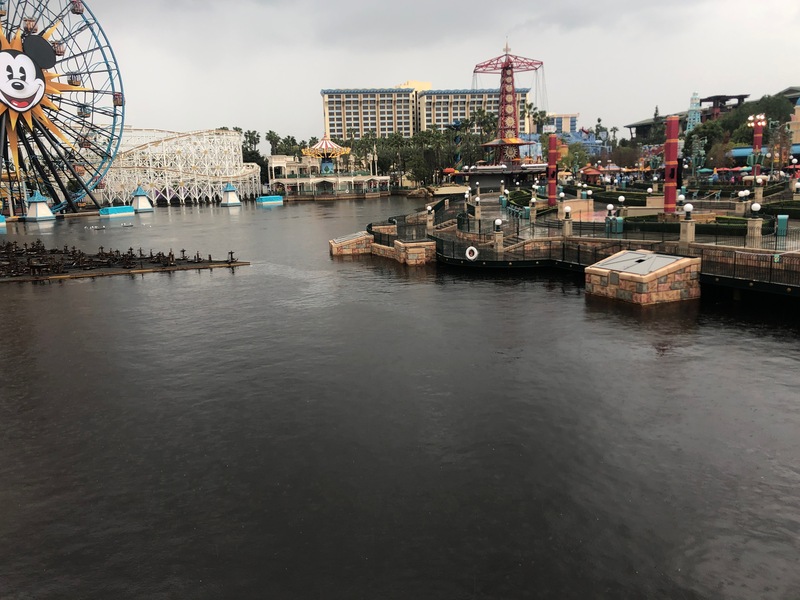 Even though nothing is confirmed, the rumor is that components of the computer that controls the show were submerged accidentally with one of the platforms. 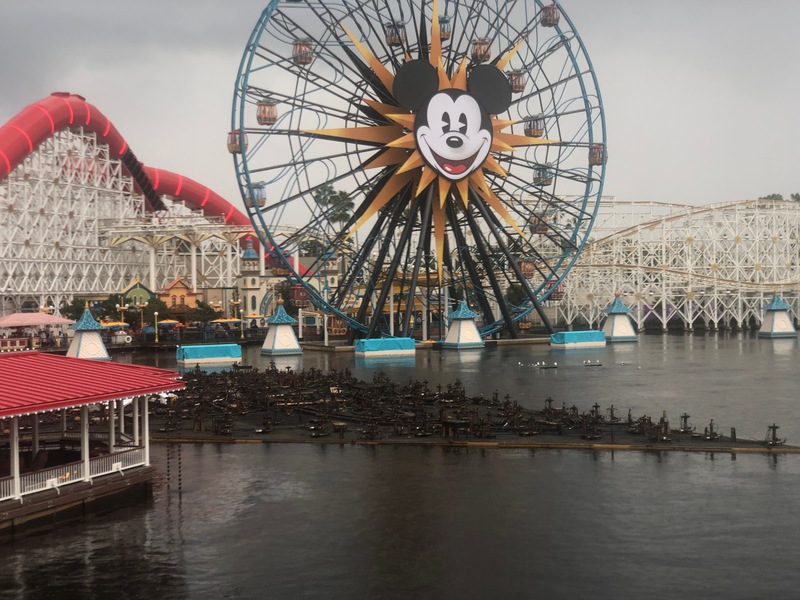 When do you think World of Color will return? Hopefully before the Spring break crowds come. 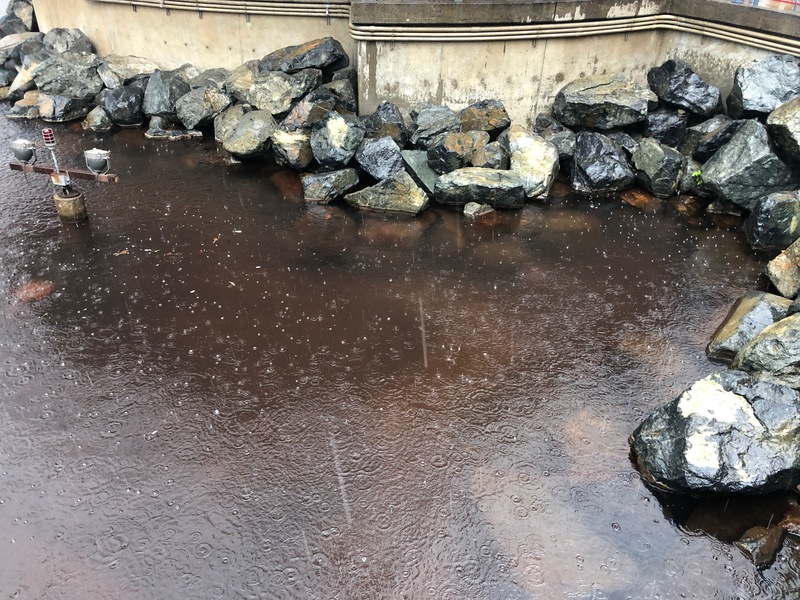 On the other side of the Pixar Pier bridge, the water surrounding the Pacific Wharf food court area has been drained. Probably just a routine paint job. 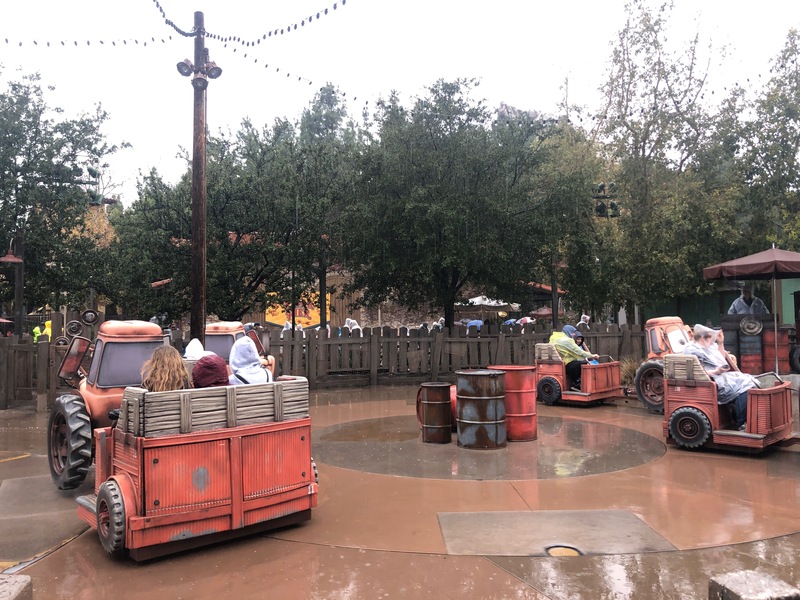 We then went into Cars Land to ride Mater’s Junkyard Jamboree, since the other two attractions in the land close due to rain. This was a bad choice that ended up leaving me drenched. 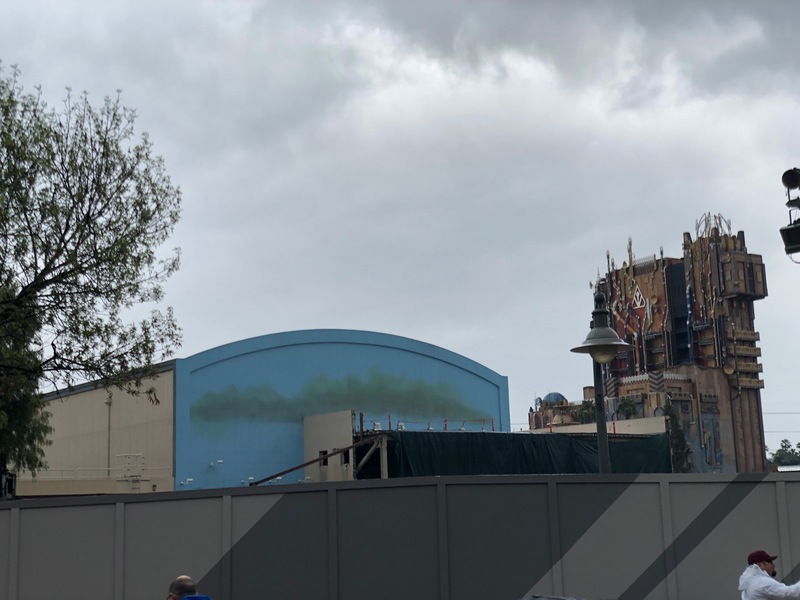 On the way out of DCA, A Bug’s Land is still in demo mode. 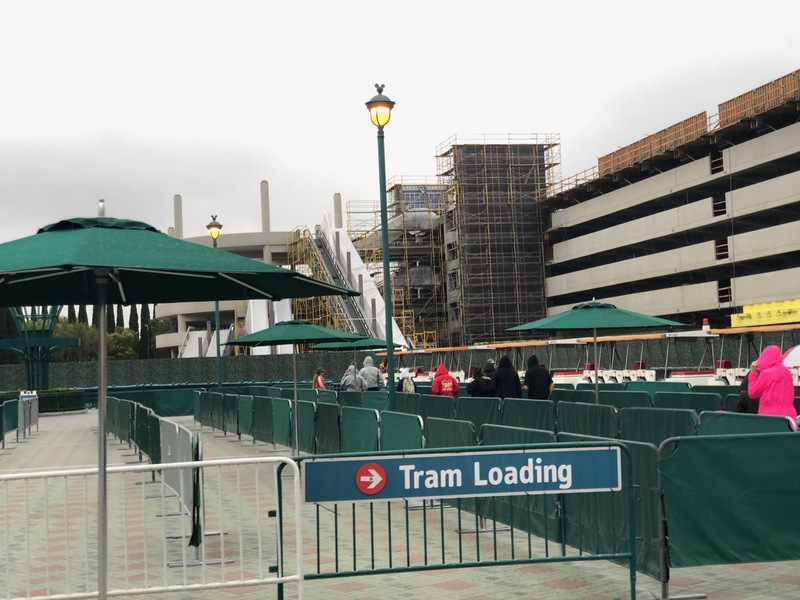 Hopefully soon we’ll see some vertical progress on Marvel Land. Before we left DCA, we hopped on Mission: Breakout. It’s such a fun ride that always puts a smile on my face. 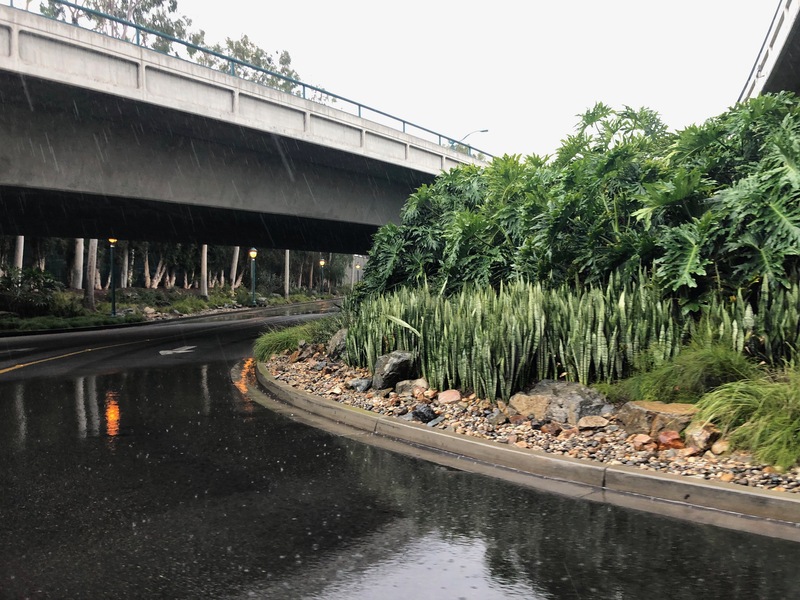 Something interesting I noticed while in California Adventure was that there were not a lot of things to do in the park during the rain. 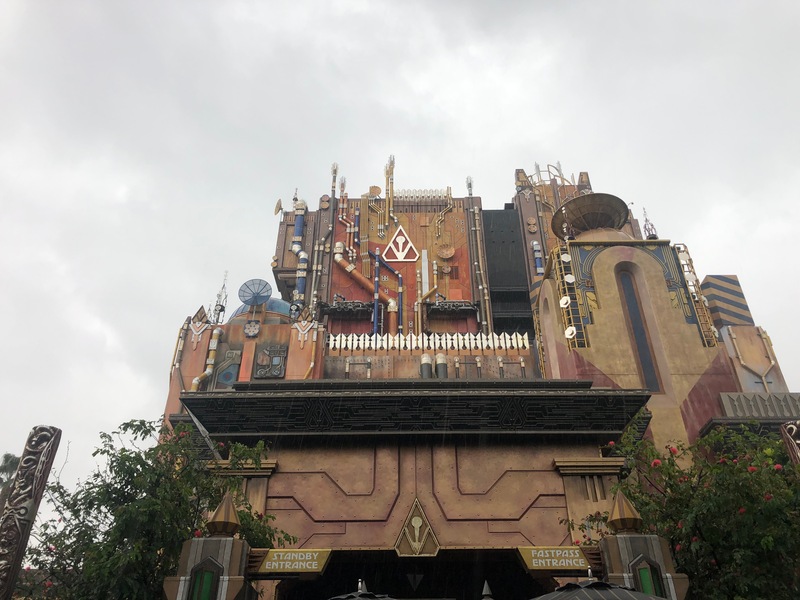 The only two E-Tickets open during the rain are Mission: Breakout and Soarin’ Around the World. Alrighty, time for some Disneyland proper. 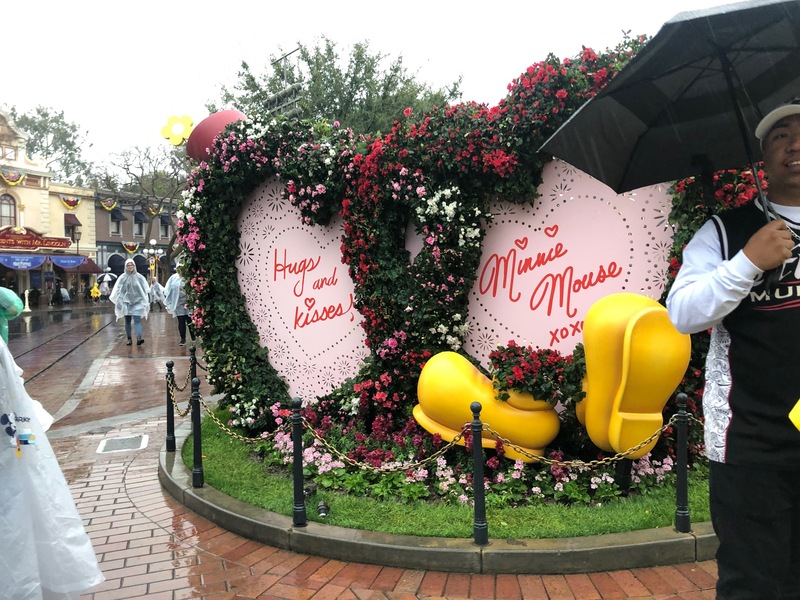 There are a few fun Valentines Day decorations up that add to the Get Your Ears On celebration. Let’s take a look at the castle. It’s now entirely covered up with scrim. Hopefully by the time the refurb is up Sleeping Beauty Castle will be back to its original beauty. 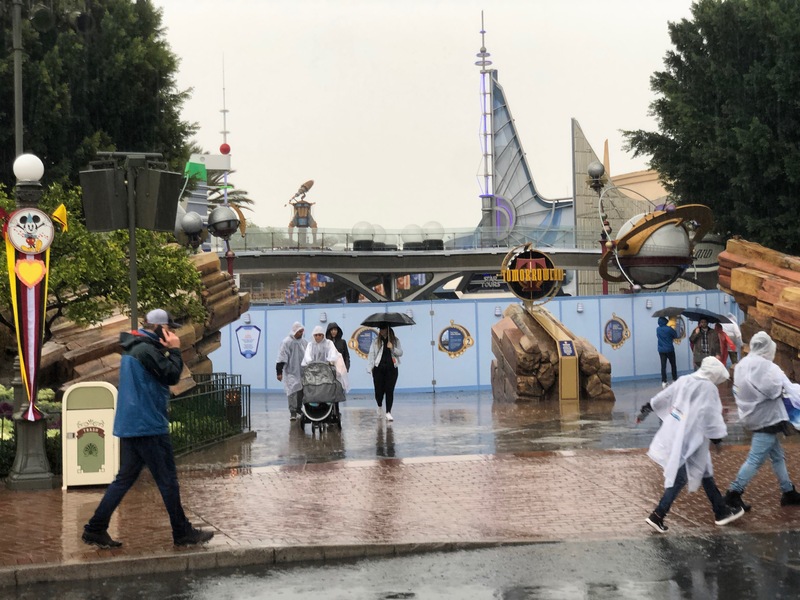 The Astro Orbiter is now completely gone. Not a trace of it to be seen. Could it be more than we think? Or is it just a normal refurb? 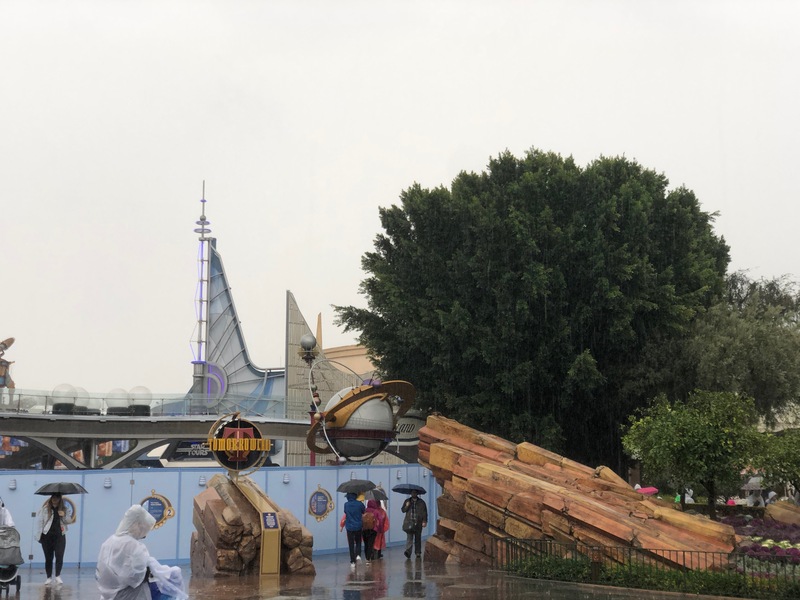 After all, something very similar was done to Dumbo last year during its refurbishment. That’s all the Disney I could do in this rainy day. 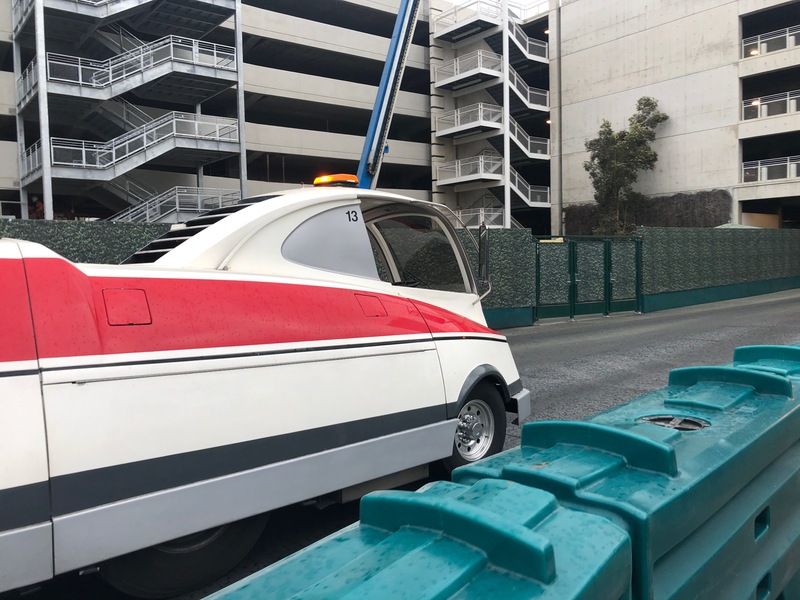 Thank you for sticking around for this Disneyland Resort Update! See you in the next one! 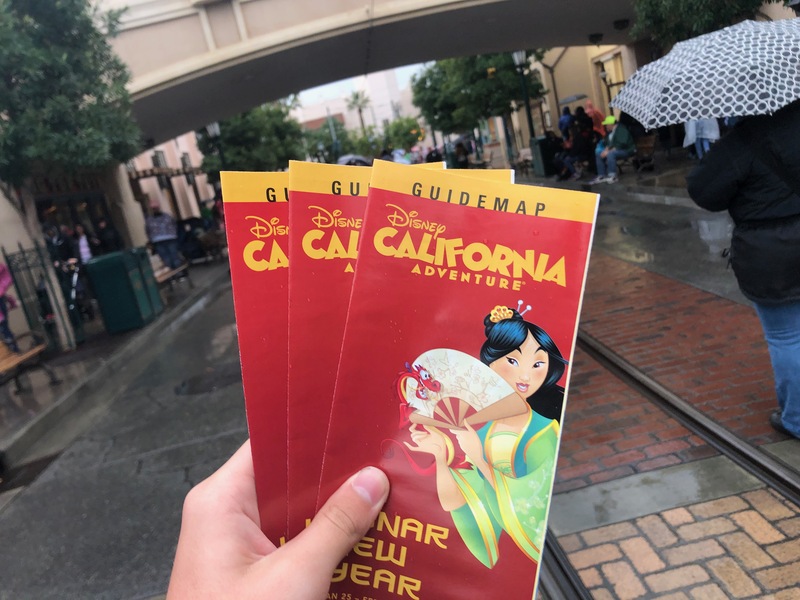 Thank you for checking out this new Disneyland Resort Report! 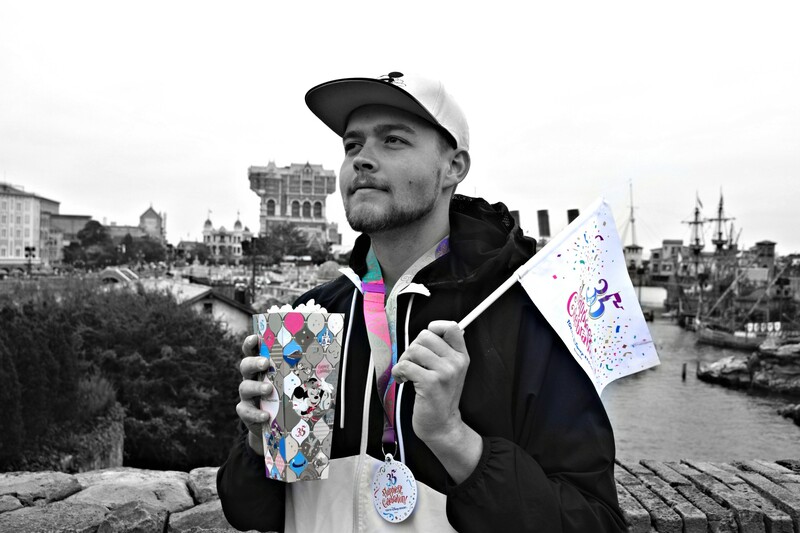 Make sure to download our brand new podcast: Coaster Kings Radio! 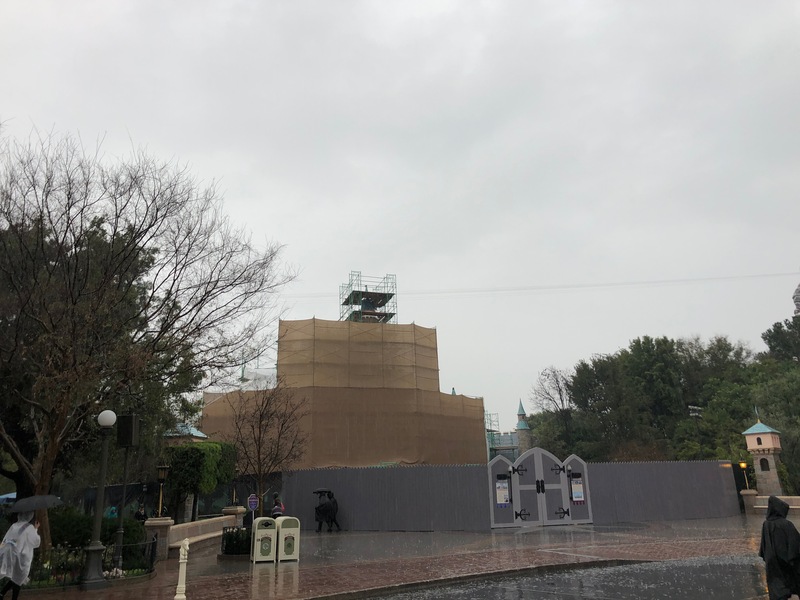 Previous PostPrevious Coaster Kings Radio Episode 1: The Media Preview! Next PostNext Halloween Horror Nights 29 BOGO Ticket Offer + Official Dates!